Cicoil’s EZ-Flexx™ Motion Series Plus cable is available in a single axis design that may be ganged for 1, 2 or 3 axes servo motion. 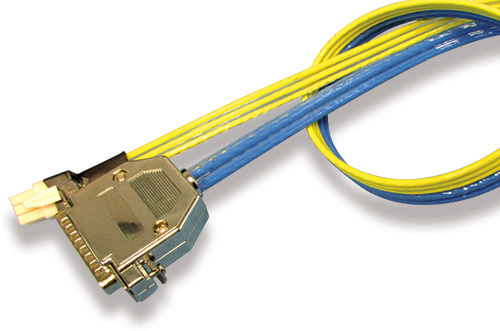 Each EZ-Flexx™ Motion Series Plus cable integrates 6 power conductors and 20 signal wires in a compact flat cable measuring just 0.84” wide by 0.19” thick. The Flexx-Sil™ encapsulation provides a solid, one-piece construction that creates a highly durable, flexible flat cable package.